It’s no hyperloop, but construction of a 200-mile-per-hour bullet train from Houston to Dallas could begin as early as next year. Add in the recently announced Amtrak partnership that will cover last-mile trips and tie into the rail company’s established interstate network, and Texas is looking at a major mass transit expansion. Developers Texas Central Partners (TCP) will be privately financing the $15 billion, 240-mile-long high-speed rail line, and have been on a public outreach spree as they attempt to drum up support and garner feedback for their proposal. 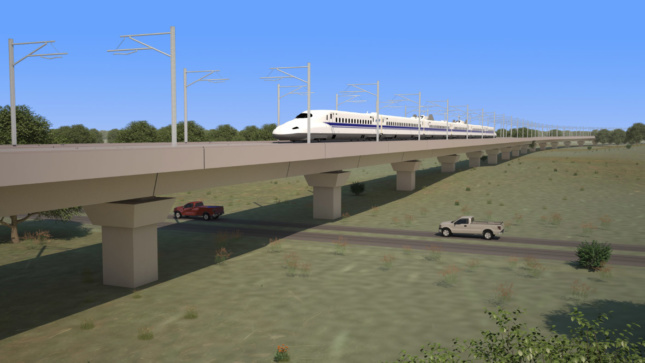 TCP argues that the Texas Bullet Train will bring in $3 billion in state and local tax revenue through 2040, in addition to the $36 billion in direct spending; not to mention the tens of thousands of projected construction jobs. 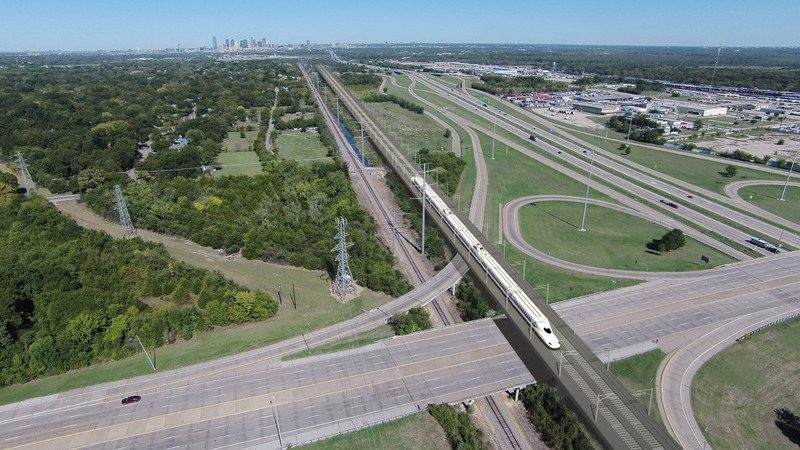 TCP is still hashing out the exact station locations but are planning on building the 60-acre Dallas stop south of the Kay Bailey Hutchinson Convention Center, with a footbridge from the station to the convention center. On the other side of the 90-minute trip in Houston, TCP has chosen the city’s Northwest Mall as the preferred location for their station. The mall site will give way to a 45-acre, multi-level train complex with easy access to I-610 and U.S. 290. Additional stops between the two cities, such as in the city of Byran/College Station, have already been confirmed. Still, not everyone is on board with the rail plan, and landowners along the proposed route have fought and lobbied their state legislators over the company possible use of eminent domain to acquire their property. 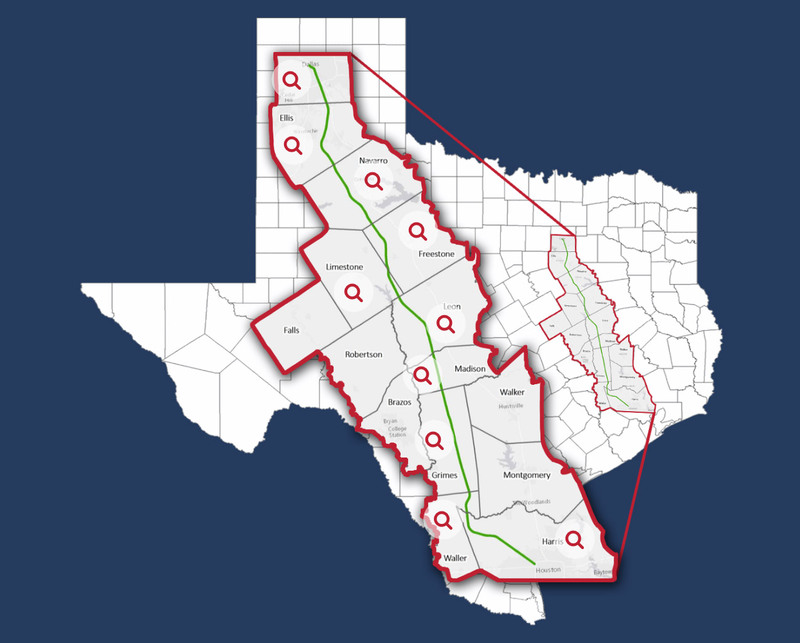 TCP has outlined their process for picking up the required properties, including offering market value for parcels in the Bullet Train’s path and pledging to minimize the impact on landowners. That hasn’t stopped the opposition from filing a flurry of bullet train bills in the state Senate, though only two of the proposed twenty measures managed to pass. As a result the state will not use taxpayer fund for the project, a move that TCP did not oppose. The free-market funding requirement hasn’t slowed the Bullet Train’s progress down, and the Federal Railroad Administration (FRA), a subsection of the United States Department of Transportation, has given the draft environmental impact statement (DEIS) the green light. The FRA also proposed an optimal route that would disrupt the least amount of people, and engineering and construction firms WSP, Fluor, Bechtel, and Lane Construction are now all helping to lay the groundwork for the project’s eventual construction. The Amtrak tie-in certainly won’t hurt the project’s chances, but high-speed rail remains notoriously expensive. Although high-speed rail has historically floundered in the U.S., such as the $77 billion north-south bullet train currently under construction in California, TCP’s business plan, and the use of private funds, combined with the high level of government support, has helped the project avoid the hurdles plaguing similar projects.